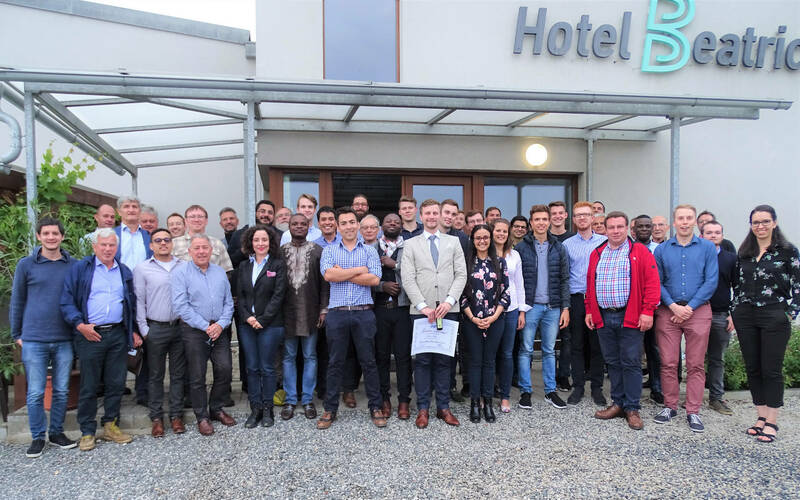 As you all know, the Montanuniversität Leoben SPE Student Chapter was organizing the 2nd Student Congress of Petroleum Engineering under the title “PEoneer – Innovation and New Technology” in Leoben on October 15th-17th. 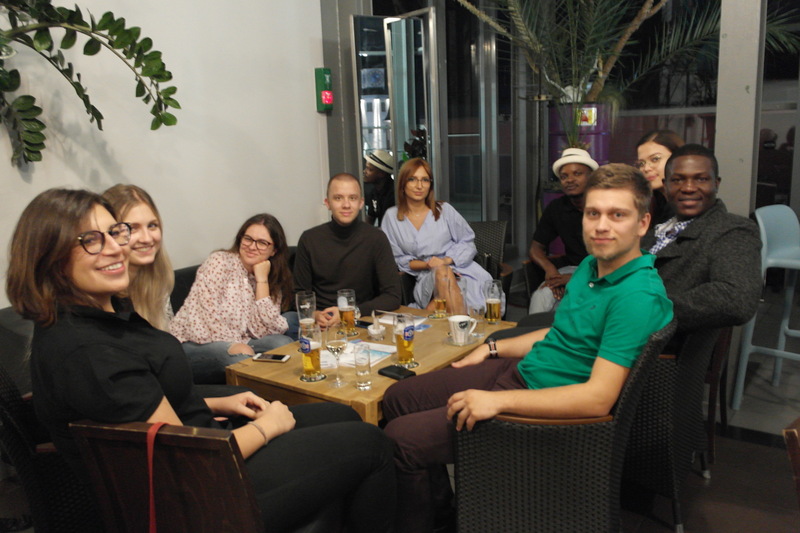 On Sunday, after the arrival of the incoming students from other chapters, universities and countries, we all had a warm welcoming get together at Bellini in Leoben. It is also called “Leoben oben”, which means Leoben from above and was a nice way for welcoming all participants and showing them the best view over the town. Our team was awaiting every participant with an info folder, including a city map for better orientation and one free drink of choice. 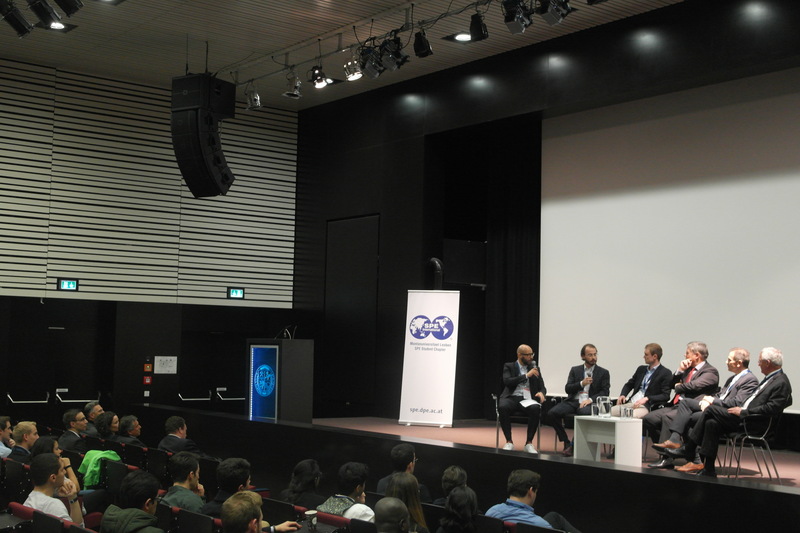 Many students from all over the world were exchanging experiences in regard to studies, jobs and future plans. The tables were all pulled together, and everyone was chatting in excitement of the upcoming conference. 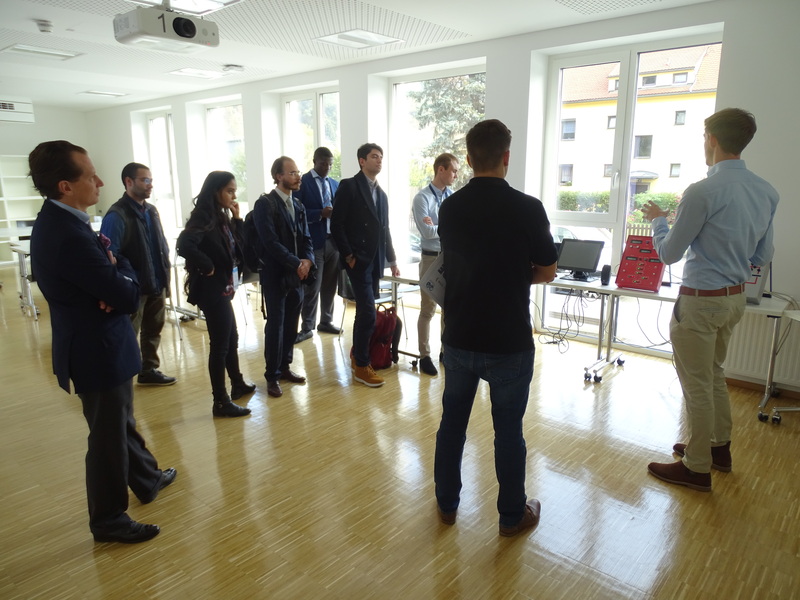 The SPE Student Chapter Leoben was very eager to make everyone feel welcome and included. As some were tired from either travelling or classes, they went home rather early while others were at no shame to show our guests around Leoben a little while longer through the night. After all, the only thing that’s left to say is that it was a great start for a great conference with great people. Monday, October 15th, the first official day of SCOPE 2018, started with the registration at the Department of Petroleum Engineering (DPE) building. Each participant and guest of honor received a goody bag filled with important information about not only SCOPE 18’ and the city of Leoben but also about our sponsors and their work, before heading to our organized breakfast. At 10:00 a.m., we divided the participants into three groups and started our university tour. For each group, the tour included three main stops, but in a different order. 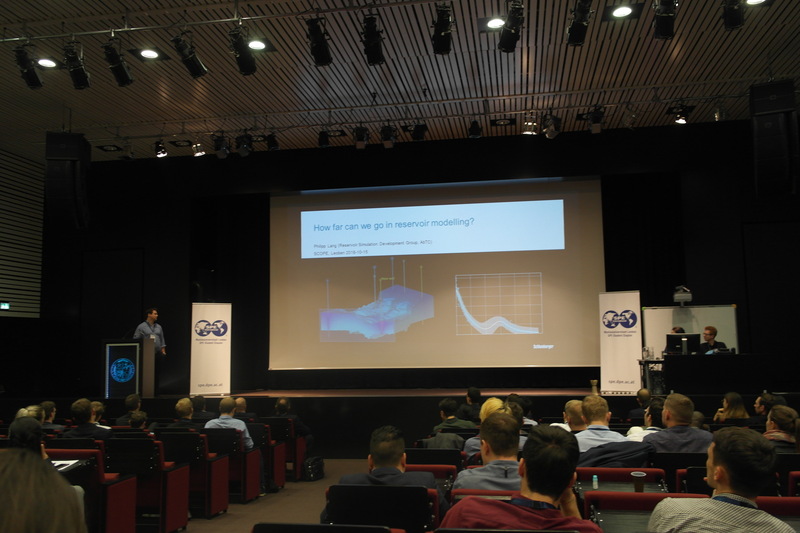 First the drilling simulator presented by Senior Lecturer and PhD candidate Anton Lettner, who explained the principle along with the different applications of the simulator. He also focused on how the students use it in order to learn to interpret the different changes on the curves shown on the screens. Our first stop ended with a bonus, since one of our participants had the chance to manipulate the simulator and be in charge as it is in a real life situation. The second stop was at the Geology and Geophysics Department, where Head of Petroleum Geology – Prof. Dr. Reinhard Sachsenhofer welcomed us with different posters related to the various on-going projects in our university. The participants had the opportunity to have a conversation with him about his experience in the different countries he has worked in and learned some fun-facts about the geology in the Vienna Basin in Austria, the Balkan Region, the Black Sea, China and many more. The tour ended with a visit to the geology museum where beautiful minerals and rocks are exposed for the eye to enjoy. 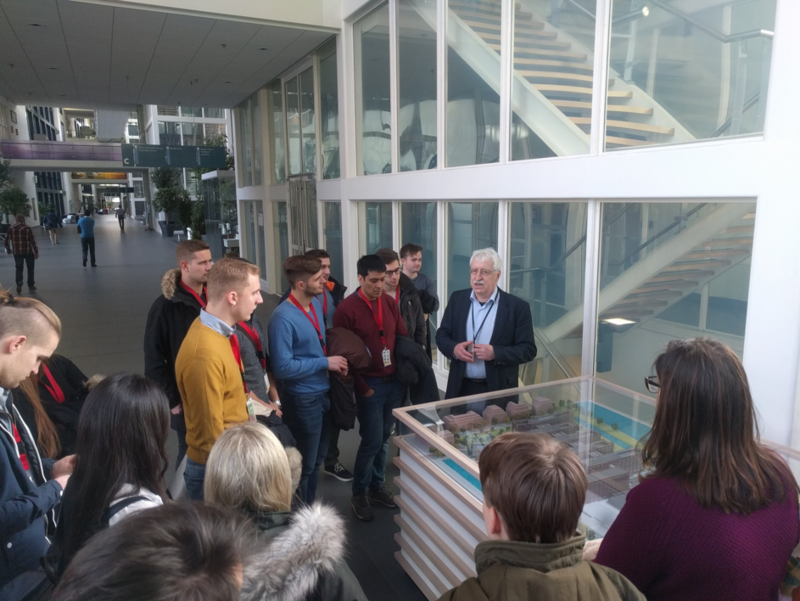 Our third and final stop was in the new DPE laboratory, where Head of Reservoir Chair -Prof. Dr. Holger Ott along with PhD candidate Pit Arnold not only showed the group the new equipment in the laboratory and their different applications but also presented their research about future core flooding experiments and microfluidics. We want to thank all the guides for their nicely demonstrated tours. The tour concluded with a joined lunch at the main university. 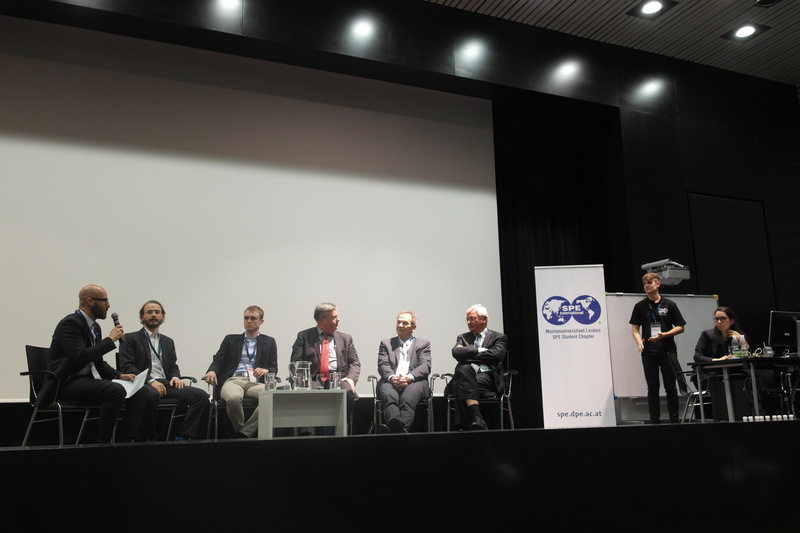 The main part of the congress was initiated by a great opening ceremony, where the Mayor of the City of Leoben Kurt Wallner, Prof. Dr. Herbert Hofstätter and our President Christoph Flicker addressed warm welcome words to the congress participants. One of the main highlights of SCOPE were the keynote speeches in which four different speakers from different companies spoke about their approach on how to tackle the challenges of innovation and industry 4.0. 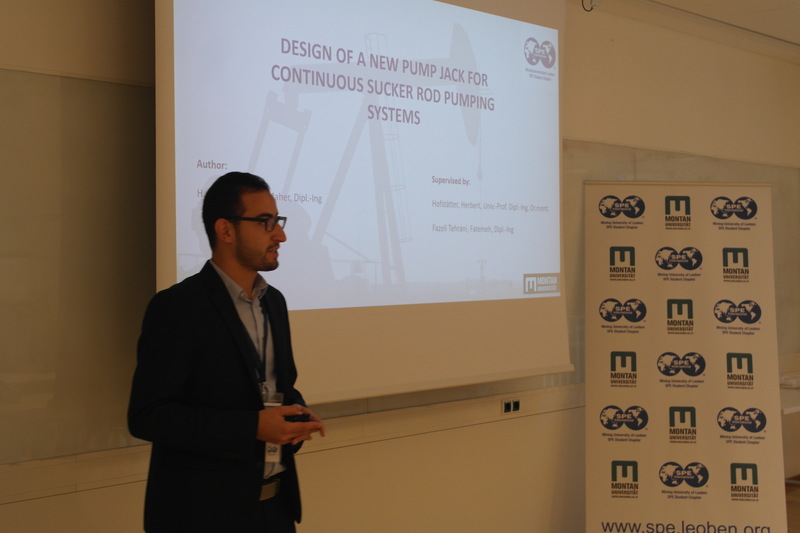 Christoph Steiner from PM Lucas Enterprise Limited started off with a technical description of his company’s solution of numerical simulation in naturally fractured reservoirs. Patrick von Pattay, who leads Wintershall’s 4.0 initiative, made it clear that breaking old habits can be disruptive in the short term, but also that rethinking and overhauling long-established processes is necessary for a modern and efficient approach. 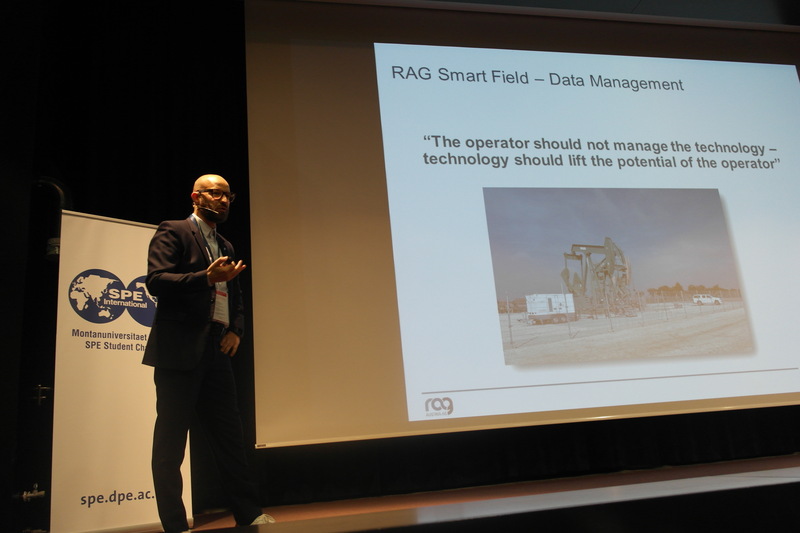 RAG’s MURAG, an innovative tool to automate processes in production operations, was presented by David Doppelreiter, Head of Business at the Austrian company, before Philipp Lang, Software Engineer at Schlumberger, completed the keynote session with his view on how far the petroleum industry can go in reservoir modelling. We, the SPE Student Chapter Leoben are very thankful for the invested time and work of the speakers and are also very proud to say, that all four speakers are Montanuniversität Leoben alumni. In the afternoon, Peter Kronberger, Reservoir Engineer at Wintershall, Lukas Mosser, Postgraduate PhD Student at Imperial College, Franz Wohlfart, Deputy Department Director Wells Construction, JV’s and International Projects (Rosneft), Herbert Hofstätter, University Professor in Petroleum and Geothermal Energy Recovery and Hans Peter Messmer, Senior Research Analyst, Energy Studies Department at OPEC, gathered on stage under the spotlight to discuss some important points about the future of the oil and gas industry. 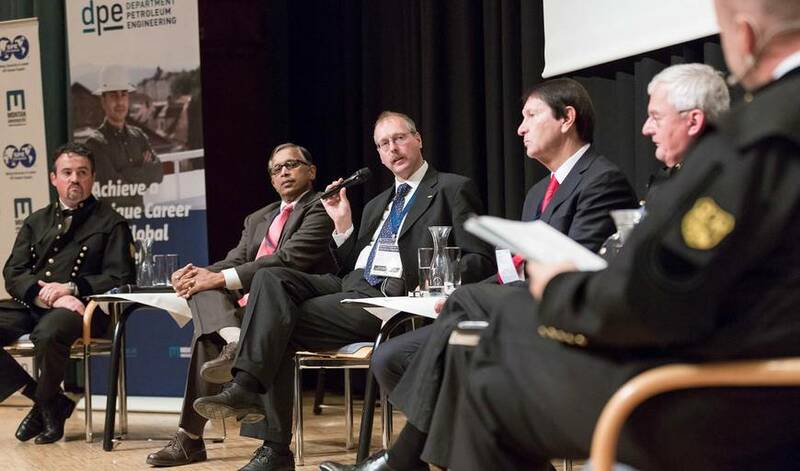 The panel was moderated by David Doppelreiter. There was mainly a talk about oil company strategies for digitalization, adapting to new technologies and the impact it has from an economic and social viewpoint. The audience was able to join the conversation with submitting their questions during the panel discussion by means of an online live application, which was managed by the SCOPE 2018 organizing committee, Christoph Flicker, Sharadiya Kozak and Andreas Liegenfeld. This allowed for a variety of answers; the speakers contributed with their opinions on technology related ethics, recruitment, startups and the importance of soft skills. • Luis Lobianco, Technical Sales Engineer for Artificial Lift Systems at Schlumberger, Vienna, Austria. • Prof. Dr. Herbert Hoffstater, Head of Petroleum Production and Geothermal Energy Recovery Chair at the DPE, Montanuniversitat Leoben, Austria. The judges evaluated the participants on their presentation skills, their scientific knowledge and on their ability to answer theirs and the audience’s questions. The Student Petroquiz was hosted in the Erzherzog-Johann Auditorium. There was a setup with two teams on stage per round and with a table per team. Three members made up each team. The questions were announced by Mr. Georg Seidl from OMV and Ines Smaoui. The teams started out strongly. However, they started guessing at questions in later stages and members from the audience described as “Jokers” came to the rescue. Eventually, the team “Perdido” emerged as the triumphant winners. At 6:00 p.m., the Student Congress of Petroleum Engineering Closing and Award Ceremony took place at the Erzherzog-Johann-Trakt Auditorium. It was indeed a great honor and joy and privilege to have Mr. Alexander Gerstner and Prof. Herbert Hofstätter with us and to witness their encouraging speeches as well as their motivational words that pushes as petroleum engineers in general and SPE members specifically to work more for the benefit of our SPE Student Chapter and university. Speeches were followed by an award ceremony for our Paper Contest and Student Petroquiz winners. 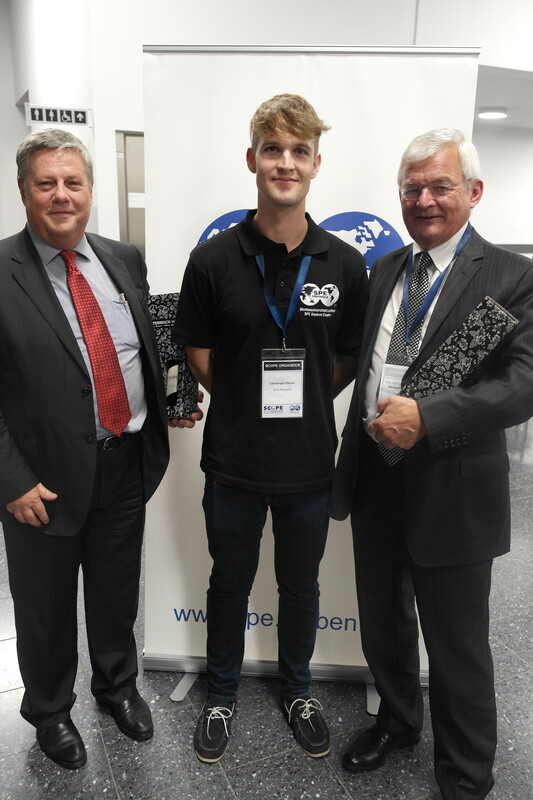 Each participant was handed a certificate of acknowledgment and other gifts as cash prizes or souvenirs from Leoben and the Montanuniversität of Leoben. After two successful days of Panel Discussions, Keynote speeches and student contests, an after party was launched at Bodega Central Dancing Leoben. 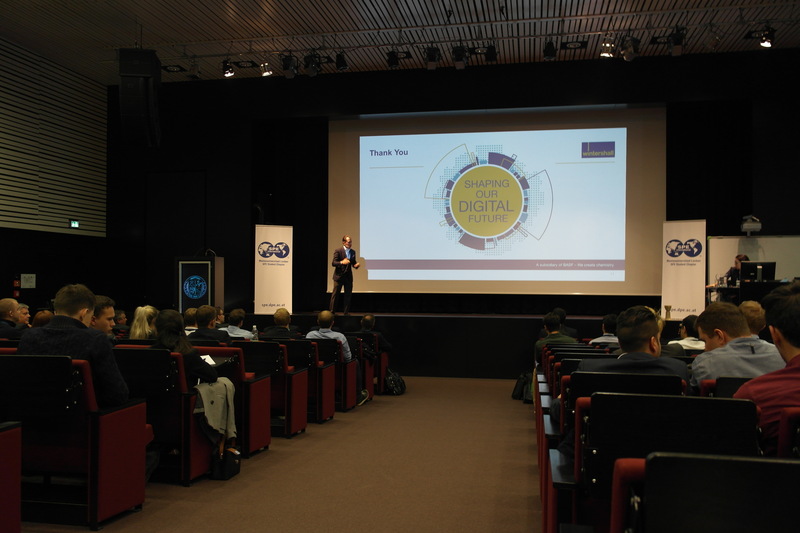 It was a great opportunity for SCOPE participants and organizers to spend more time together and enjoy the last day of the congress before they left on a field trip to OMV Aktiengesellschaft facilities and the head office, hosted by the SPE Vienna Basin Section on Wednesday, October 17th. We hopped on a bus, heading towards Gänserndorf, where OMV-Austria’s Exploration and Production activities are headquartered. The first stop was the in-house core storage facility, where some 50.000 meters of cores from OMV’s assets all over the world are stored and examined. Next stops included the corrosion and metallurgical testing facility, where we got an insight into a lot of different corrosion problems occurring when producing, transporting and refining hydrocarbons. After this, we got a very interesting tour through the water testing lab, EOR lab and PVT lab. After a delicious lunch in the canteen in Gänserndorf, we resumed with a bus tour through the oil fields around Gänserndorf guided by Well Delivery Manager and SPE VBS President Alexander Gerstner. As we were rolling through the smooth landscape of lower Austria, we got a glance on numerous sucker rod pumps, the water treatment plant in Schönkirchen, gathering stations, EOR facilities, a drilling rig, gas storage facilities and the desulfurization plant in Aderklaa. Furthermore, Mr. Gerstner was giving us an overview of OMV’s history in the regions and some future plans. Our last stop was the brand-new 3D-Visualization Room in OMV’s head office in Vienna. With this state-of-the-art piece of technology, geologists can visualize complex geological formations and find potential oil and gas deposits that are yet to be drilled. Thank you all and see you at SCOPE 2020!